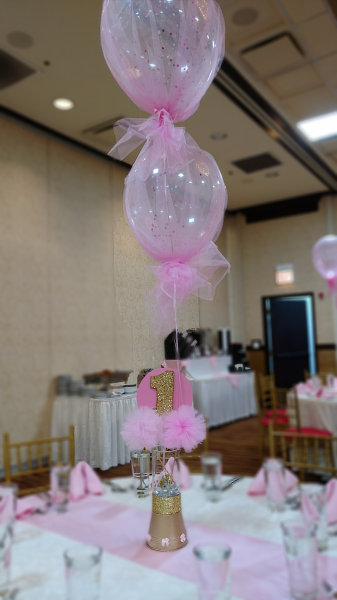 This cutie was wild about turning one. 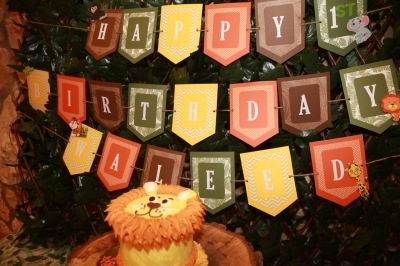 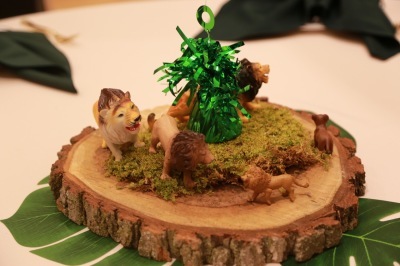 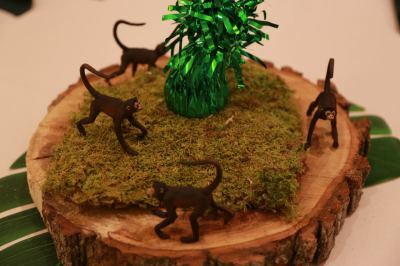 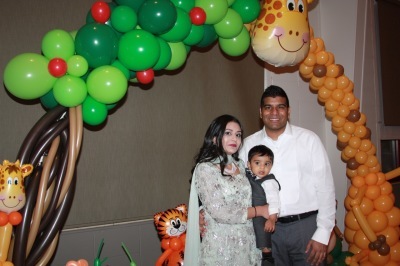 With all his family and friends this little guy had a roaring good time in this jungle themed birthday party. 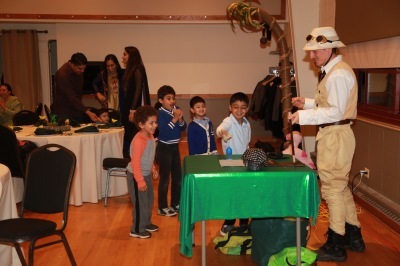 A safri guy entertained all kids , while the adults enjoyed socializing. 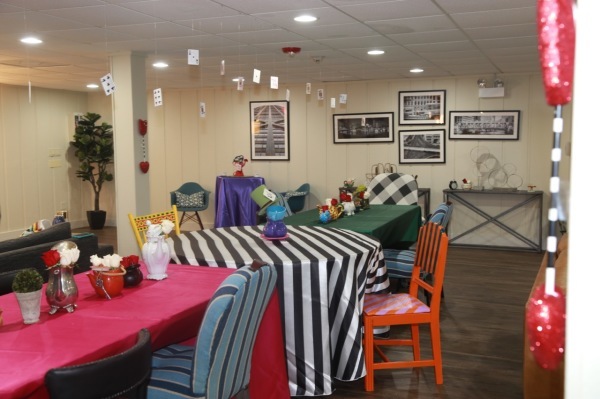 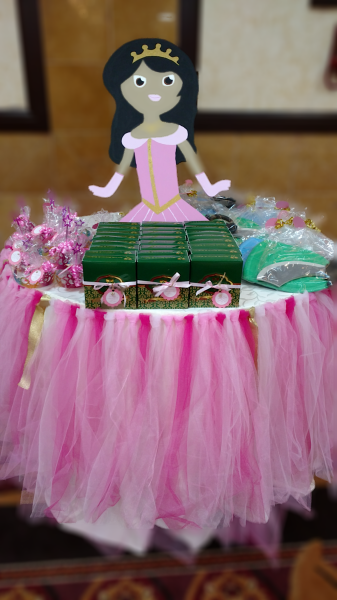 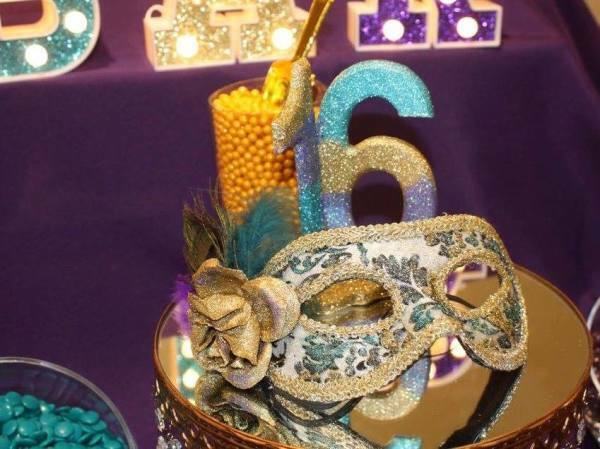 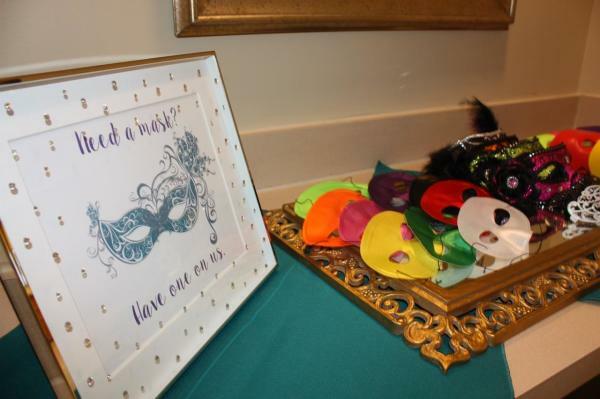 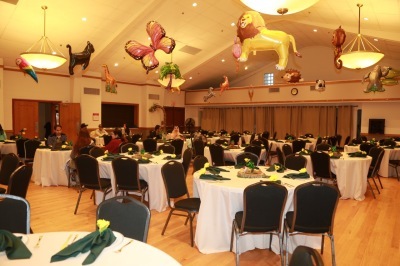 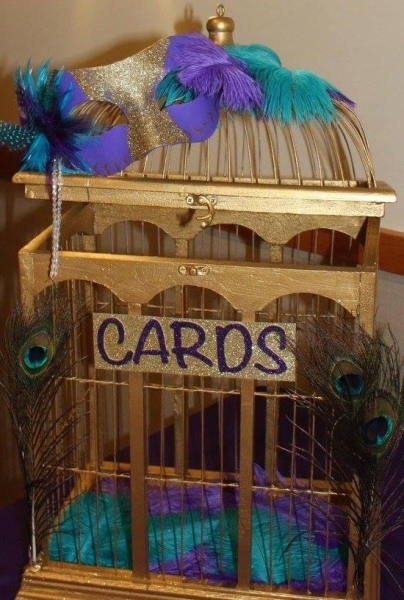 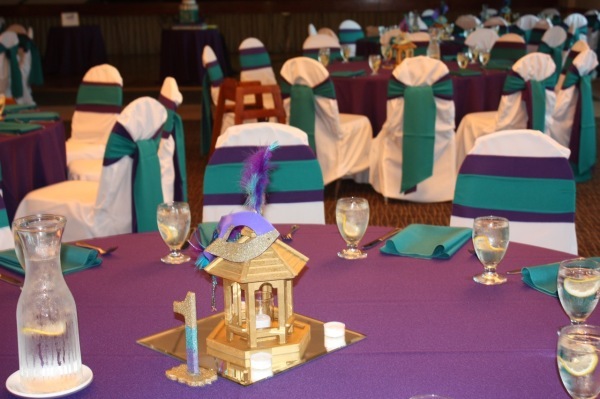 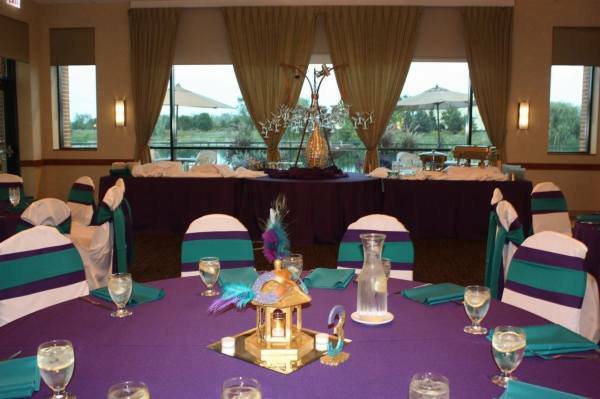 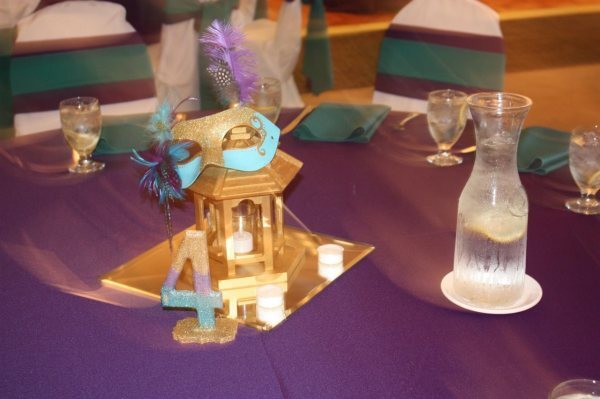 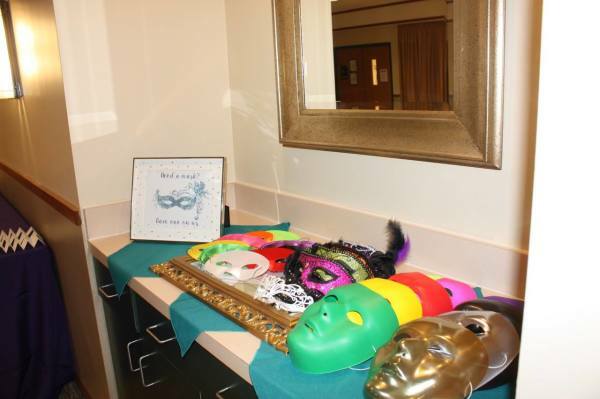 Guests were in disguise at this masquerade ball as they helped the birthday girl celebrate her 16th birthday. 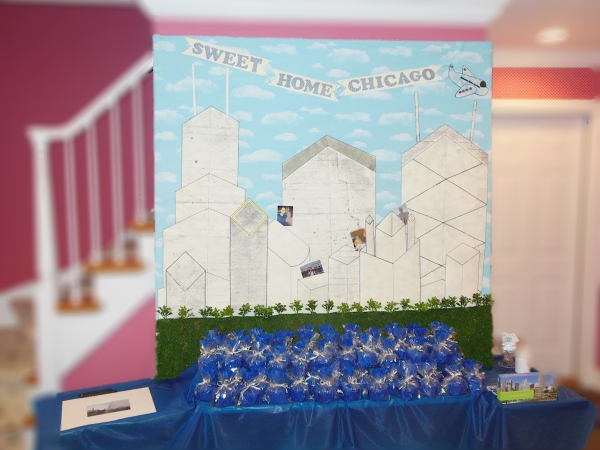 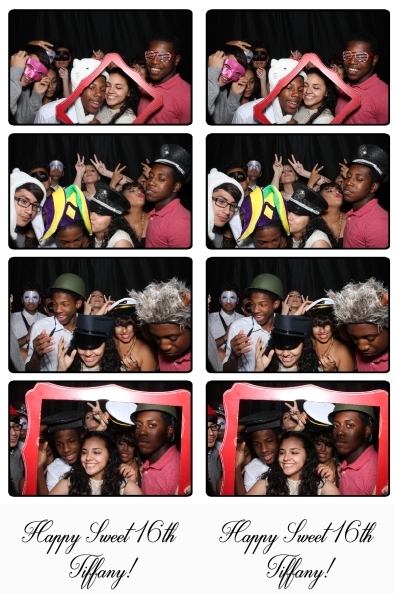 The guests had a blast in the photo booth, where they were able to take home a picture souvenir. 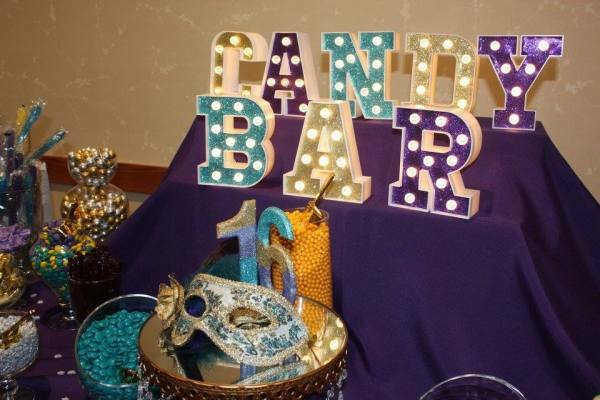 While the guests weren’t smiling for the camera they were sneaking sweets at the candy bar. 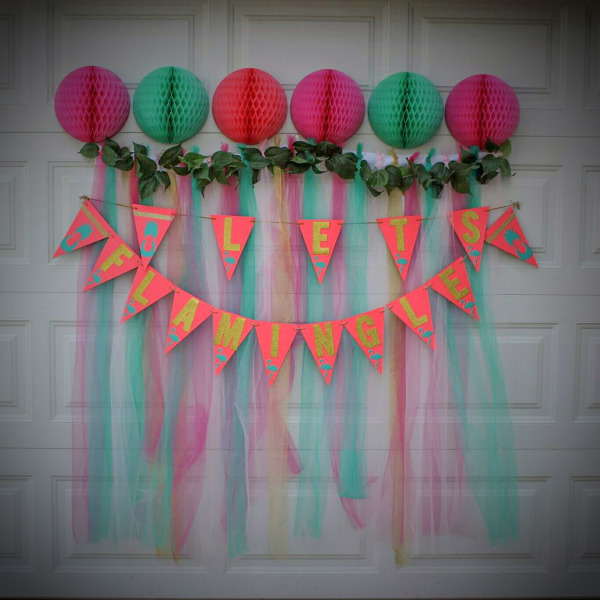 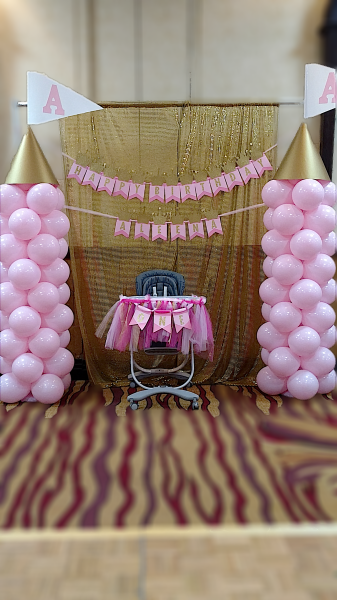 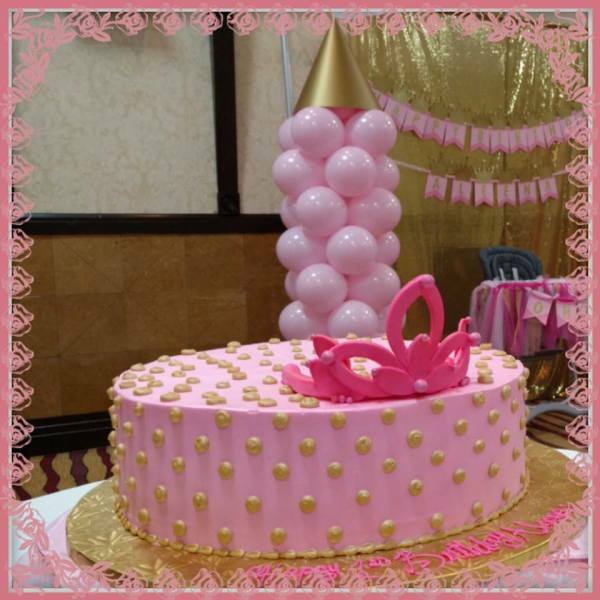 This party is one that this birthday girl will never forget! 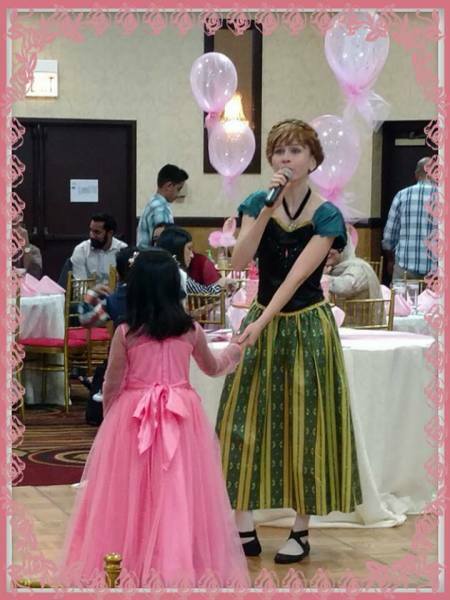 Princess Anna serenaded this one year old and her royal guests of honor. 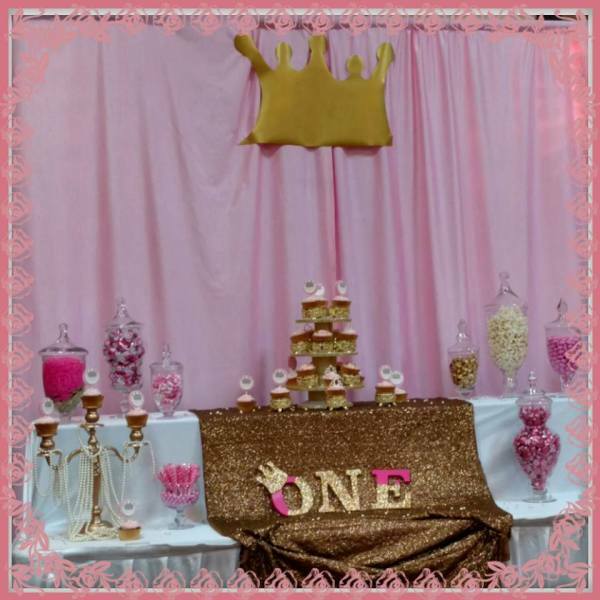 The pink and gold candy bar was crowned the best spot in Arendele ! 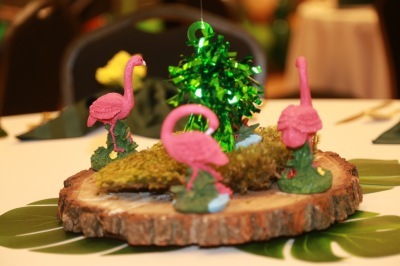 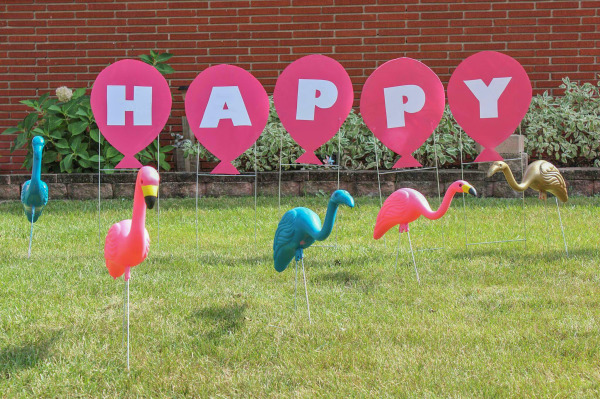 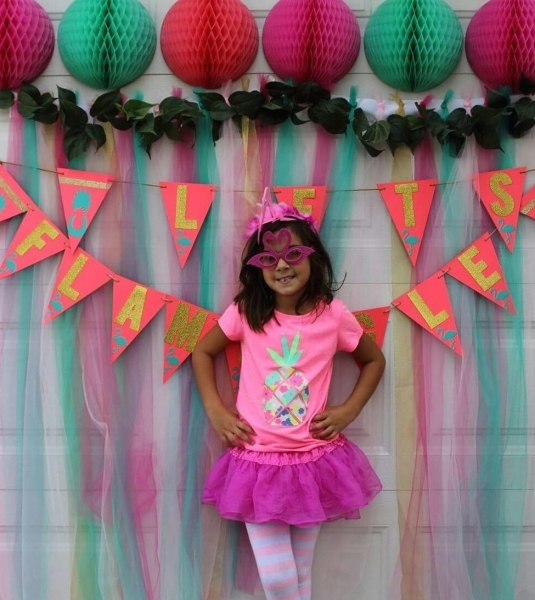 This Perfectly pink flamingo celebrated her 6th birthday Luau style! 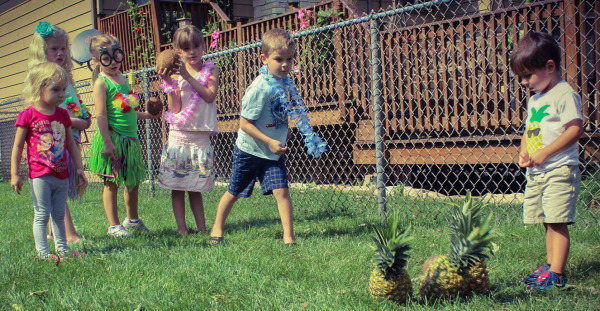 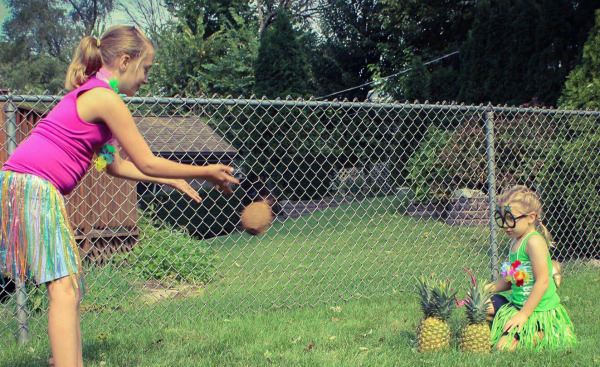 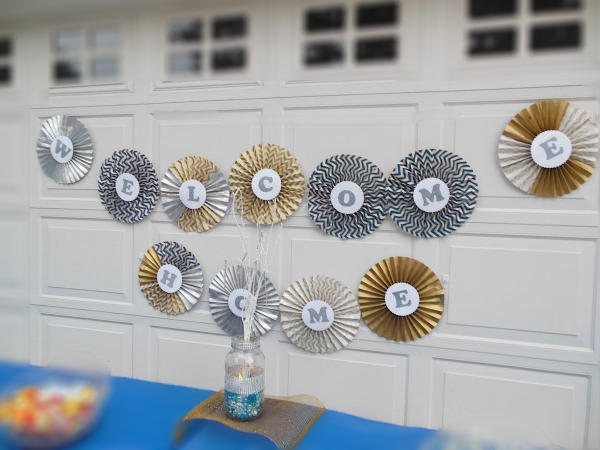 Her guests got low for limbo and took turns knocking down pineapples with a coconut. 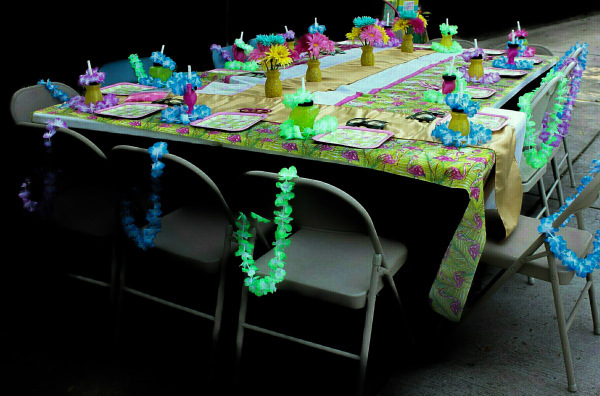 Grass skirts and leis were the perfect attire. 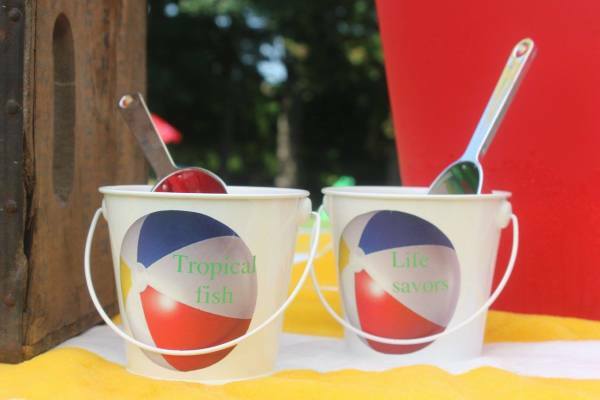 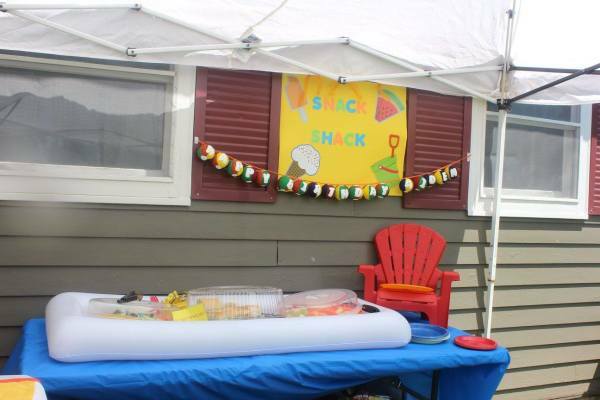 We brought the beach to a farm in Elburn, IL. 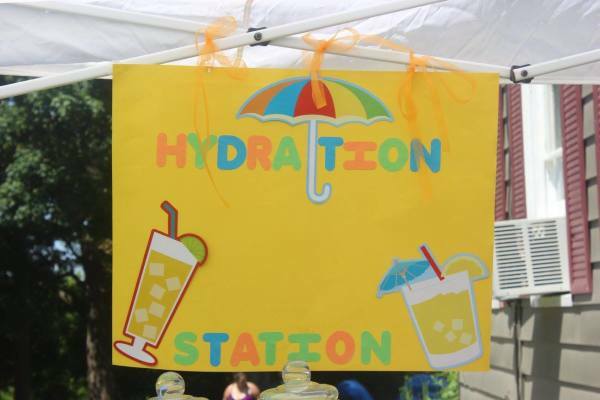 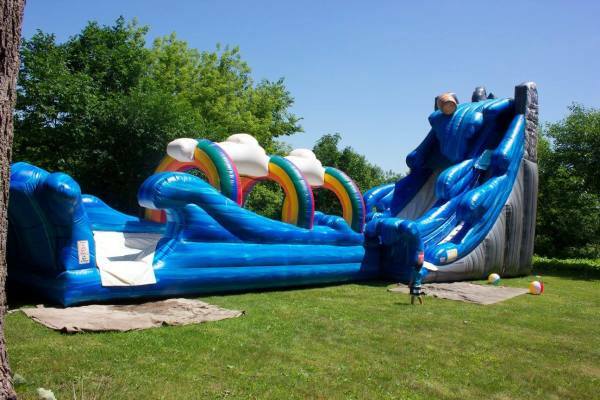 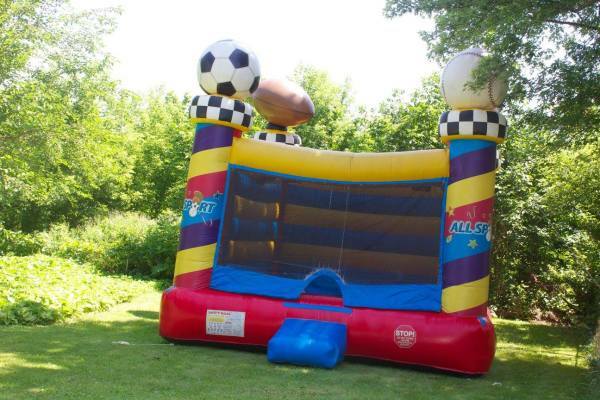 This 10 year old and all of his friends and family enjoyed a 28×58ft slide, sand-pit , mini pool and water balloons. 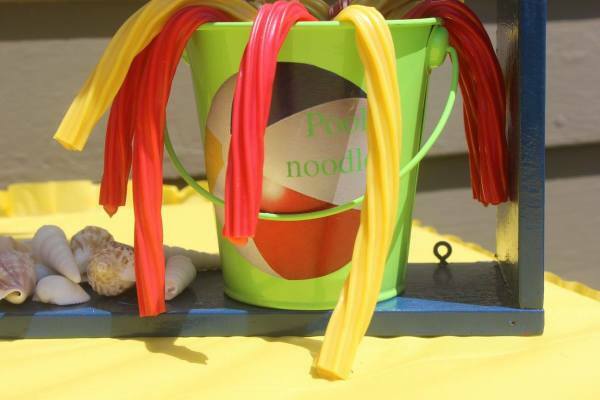 It was the ultimate birthday beach bash! 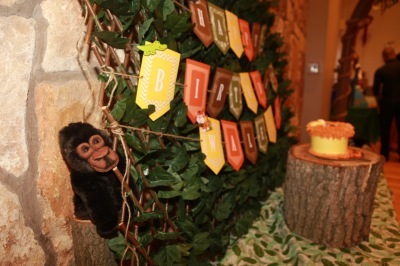 This party was for a 27-year-old who had just finished his Peace Corps service in Moldova. 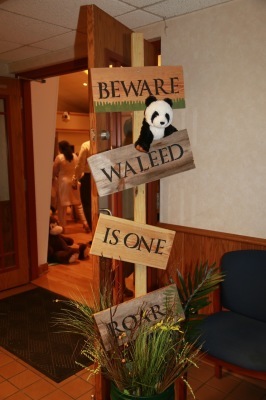 The honoree had traveled to 22 different countries before, during, and after his service. 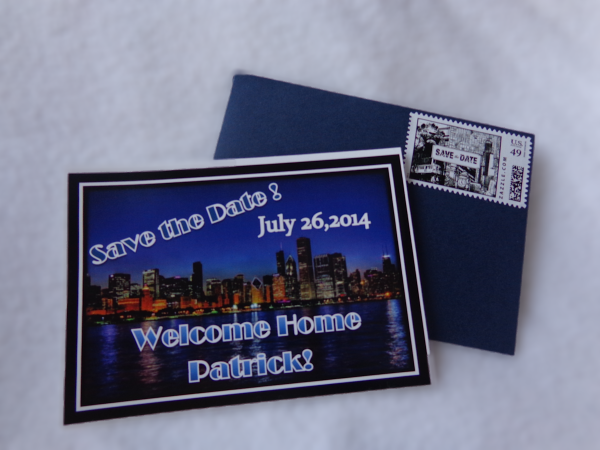 There was a chronological walking tour of his travels, leading right back to where it all began – Sweet Home Chicago. 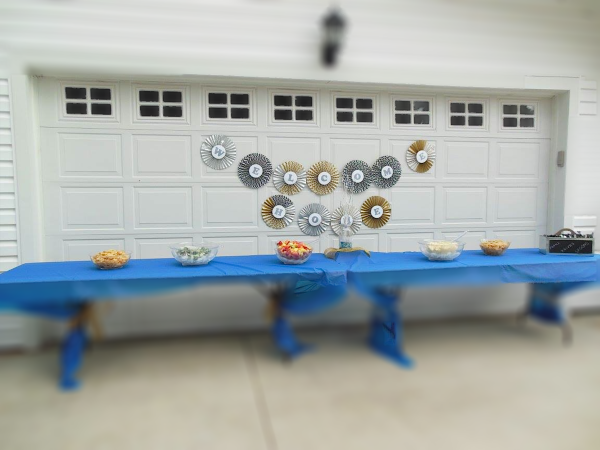 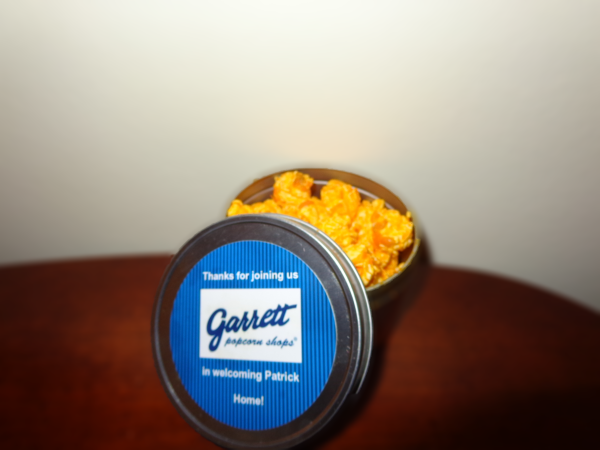 The favors for the guests included Garrett's Popcorn, a local favorite, which also helped inspire the color scheme: blue, gold, and silver. 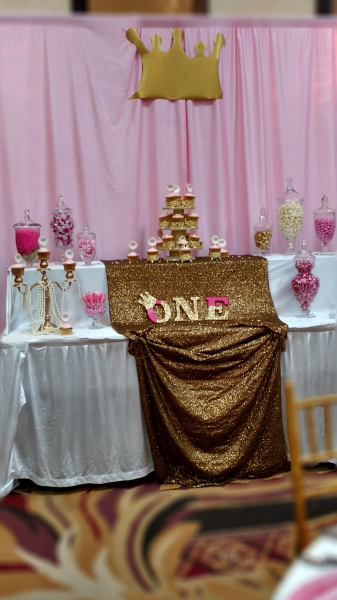 A local food truck catered the event. 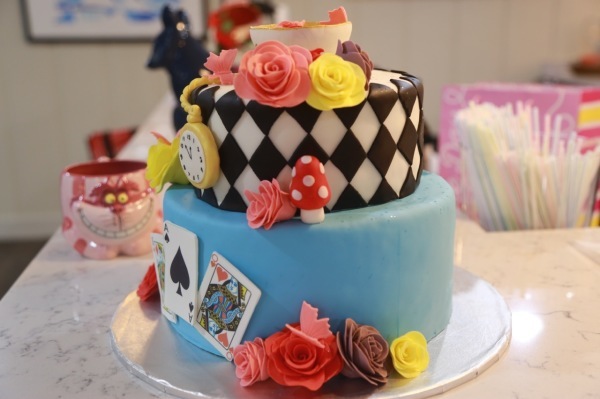 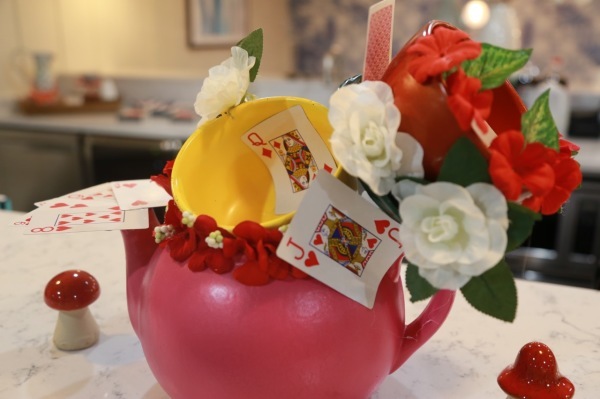 Jourden celebrated her 30th in wacky fashion with a mad tea party! 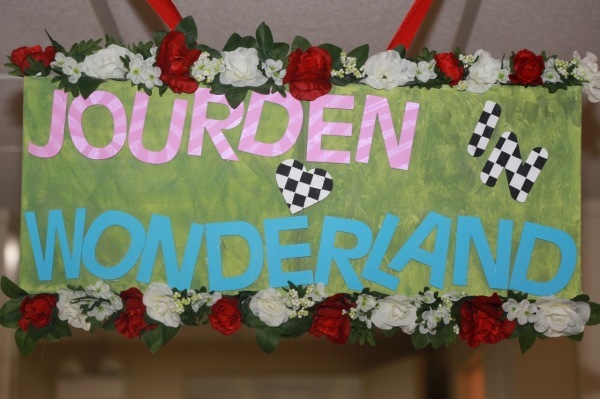 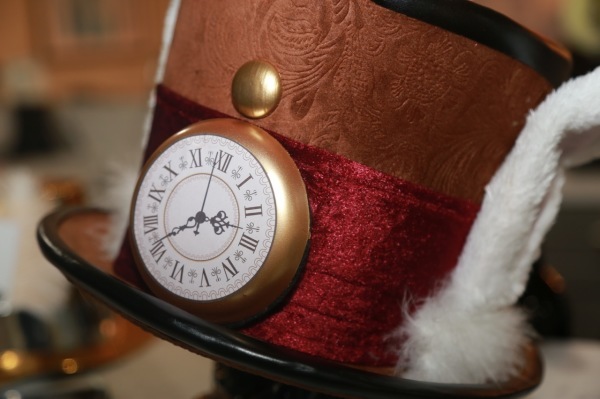 Each guest was provided with a hat or a crown before entering Wonderland. 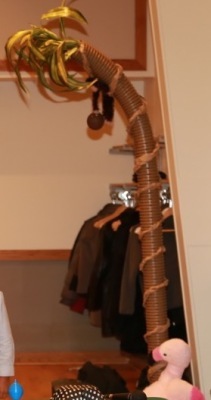 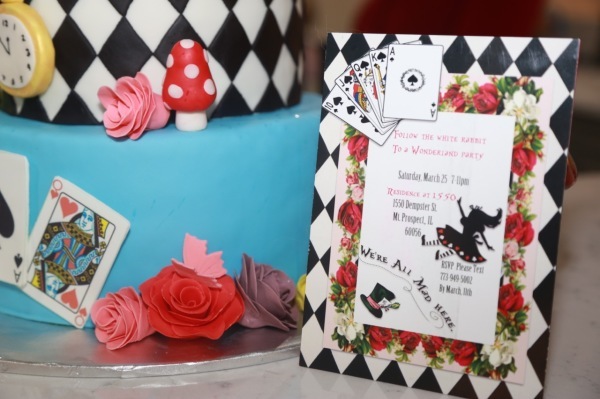 The guests were transformed into wonderland with a literal ride (elevator) down the rabbit hole. 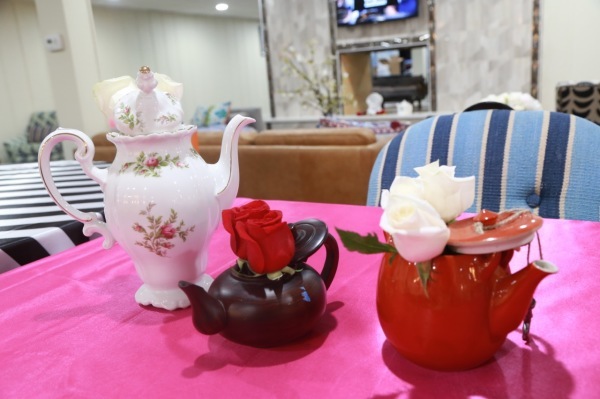 Wonderland was full of different colors and patterns and of course clocks, teacups and tea pots. 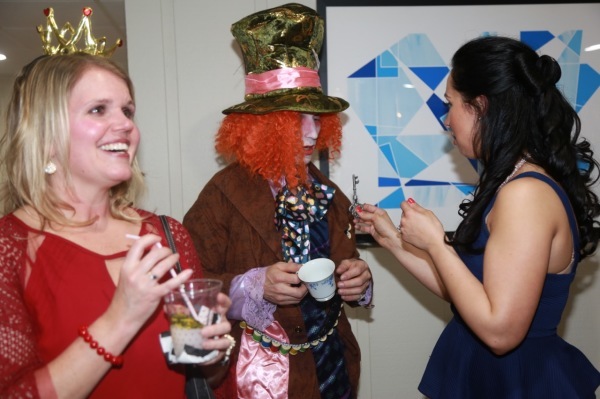 The Mad Hatter himself was there walking around entertaining the guests. 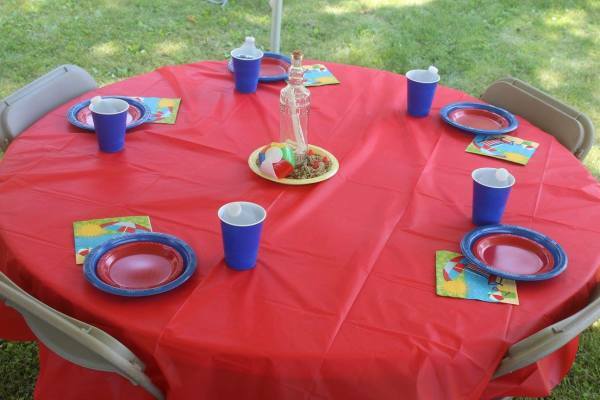 This Tea Party had a Mexican twist. 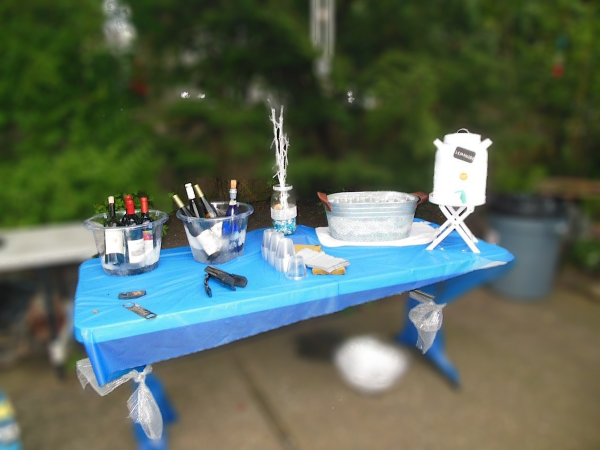 In lieu of tea, the margaritas were flowing while guests enjoyed the Mexican cuisine. 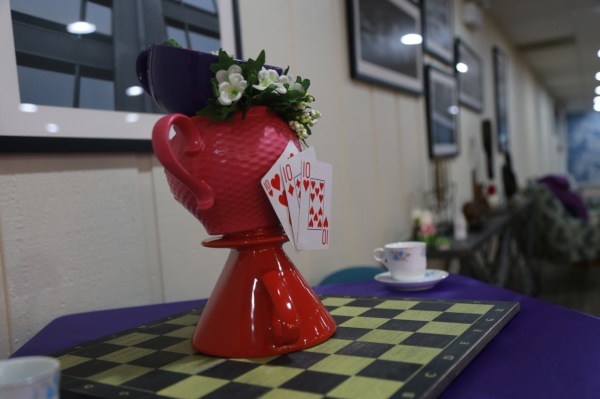 Guest had a blast taking photos with the Mad Hatter in front of the photo booth. 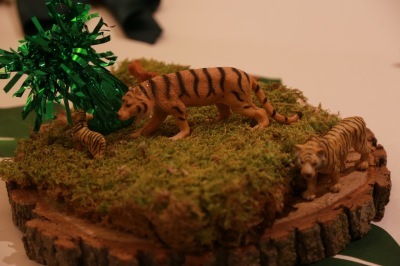 Guests were happy to leave with a tasty cookie for their ride home. 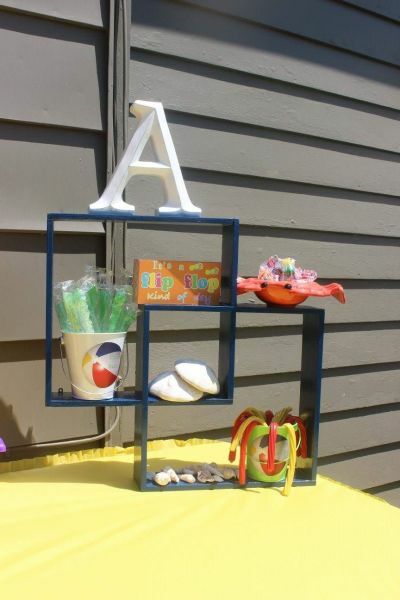 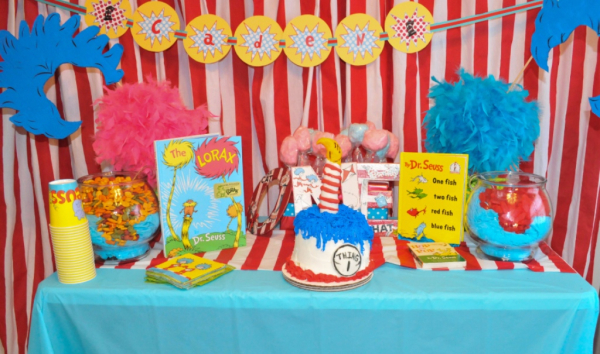 Caden was an adorable one year old who celebrated his bithday the Dr. Seuss way. 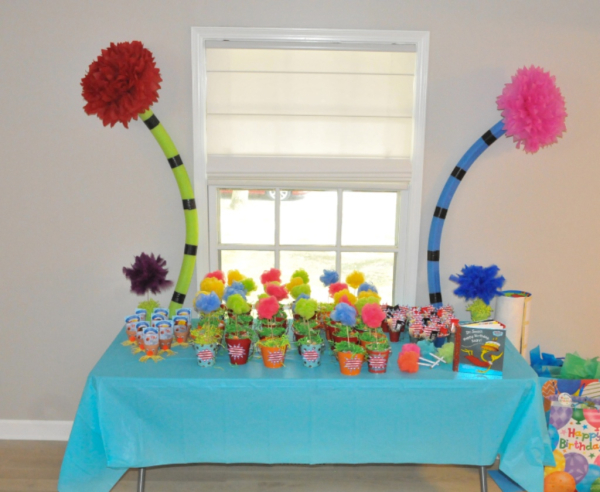 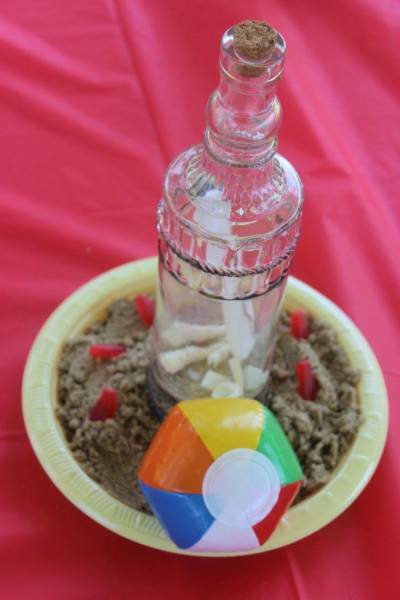 The kids enjoyed Dr. Seuss themed games. 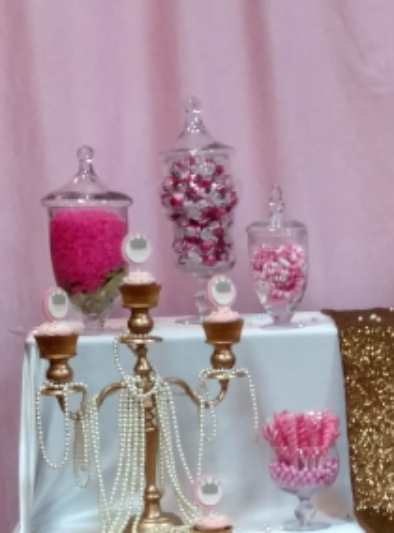 There was an amazing sweets table, that guest of all ages enjoyed.